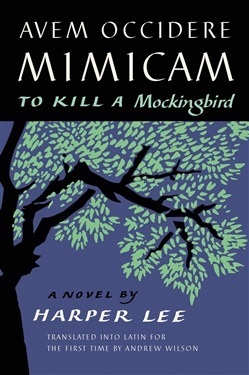 Voted "America’s Best-Loved Novel" by The Great American Read series, PBS Harper Lee’s beloved Pulitzer Prize-winning classic novel To Kill a Mockingbird, now translated into Latin. “Shoot all the bluejays you want, if you can hit ’em, but remember it’s a sin to kill a mockingbird.” A haunting portrait of race and class, innocence and injustice, hypocrisy and heroism, tradition and transformation in the Deep South of the 1930s, Harper Lee’s To Kill a Mockingbird remains as important today as it was upon its initial publication in 1960, during the turbulent years of the Civil Rights movement. 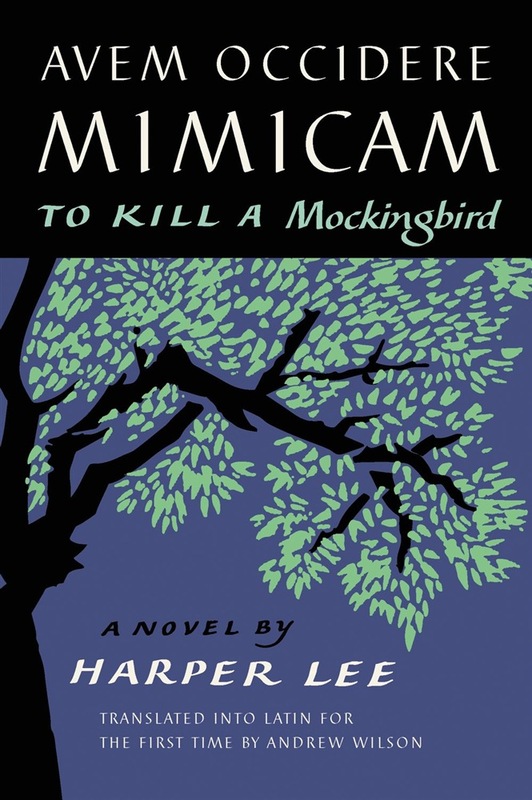 A gripping, heart-wrenching, and wholly remarkable tale of coming-of-age in a South poisoned by virulent prejudice, it views a world of great beauty and savage inequities through the eyes of young Scout, as her father Atticus Finch, a crusading local lawyer, risks everything to defend a black man unjustly accused of a terrible crime. Now, this most beloved and acclaimed novel is retold in this beautiful Latin language edition, translated by Andrew Wilson. Acquista Avem Occidere Mimicam in Epub: dopo aver letto l’ebook Avem Occidere Mimicam di Harper Lee ti invitiamo a lasciarci una Recensione qui sotto: sarà utile agli utenti che non abbiano ancora letto questo libro e che vogliano avere delle opinioni altrui. L’opinione su di un libro è molto soggettiva e per questo leggere eventuali recensioni negative non ci dovrà frenare dall’acquisto, anzi dovrà spingerci ad acquistare il libro in fretta per poter dire la nostra ed eventualmente smentire quanto commentato da altri, contribuendo ad arricchire più possibile i commenti e dare sempre più spunti di confronto al pubblico online.